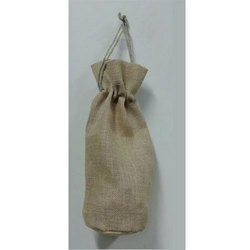 Our range of products include wine bottle bag, cotton wine bottle bags, jute wine bottle bag and wine bottle bags. 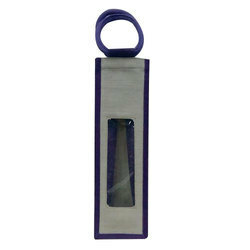 We are one of the leading manufacturer of Wine Bottle Bag to our esteemed clients. 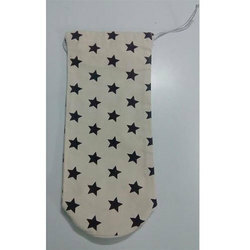 These wine bags are available in various sizes and in yellow and white color. Our ranges of bags are widely used for carrying wine bottles. We are one of the leading manufacturer of Cotton Wine Bottle Bags.These are fabricated using superior quality cotton materials that assure easy handling and safety of the wine bottles. We can custom print your company logo making it an effective advertising tool. These bags are ideal for keeping wine bottles. 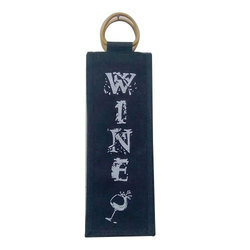 We are one of the leading manufacturer of a wide range of Rope Handle Wine Bottle Bag. Our ranges of wine bags are available in green color and have a rope handle for easy to carry wine bottles. We made these wine bags using top quality materials. 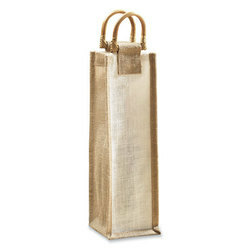 We are one of the leading manufacturer of Cane Handle Mustard Color Jute Wine Single Bottle Bags. Which can also be customized as per the specification give by clients. We are one of the leading manufacturer of Green Wine Bottle Bags. These are available in green color and with cane handle makes these bags handy and comfortable.